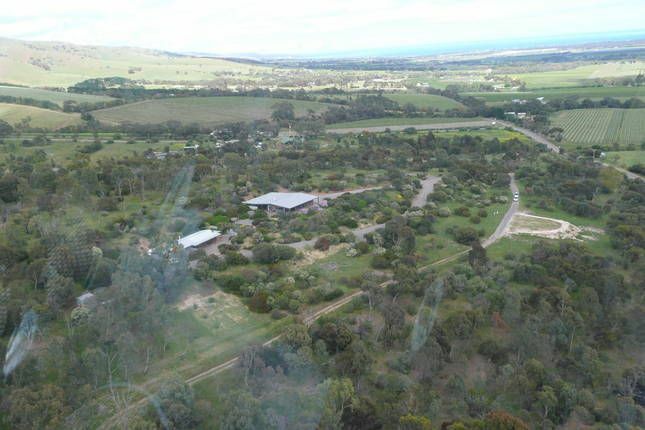 Weemilah is set on 53 acres of natural bush land in the Willunga Hills with abundance of wildlife. It is self contained with all modern appliances to make your stay a comfortable and enjoyable one. It is furnished with a King size bed ( electric blanket provided in winter ), modern appliances in the kitchen, reverse cycle air conditioning, fan and fireplace for the cooler months. Take a leisurely stroll on the property, have a picnic on the hill, sundowners during sunset or just enjoy the peace and quiet on your private verandah. Weemilah also has it's own helipad for those who travel by rotor blades. Fixed wings travelers should not feel left out as Aldinga Airfield is only 3 minutes away. Arrangements can be made for pick up/drop off. The Fleurieu Peninsula has much to offer. Wine tasting, gourmet food, markets, museums, horse riding, walking trails, beach, surfing, snorkelling, fishing, flying (helicopter joy flights can be arranged)and much more. It's a great place to get back in touch with "life". Cosy, Comfortable,Clean and a great location. A lovely location with 180° views of the vineyards in one direction & views to the sea in the other. Breakfast provisions were great and the host warm and welcoming. Thank you! Glad you had a wonderful stay. Clean & tidy property. Very thoughtful host. Would stay again. Great location with magnificent views. Very friendly hostess. Great food, comfy bed. Great value for money Can't ask for much more. Such a great surprise to stumble across this little gem. Wonderful hosts, beautiful property, looking forward to our next stay. Terrific quiet location just outside Willunga. Ideal weekender for a couple.